The gondolas! The architecture! The romance! Built on 117 islands flanked by canals, the Italian city of Venice is adored by tourists and residents alike. Its art, historical sites, music, and cuisine enchant thousands of visitors a day. 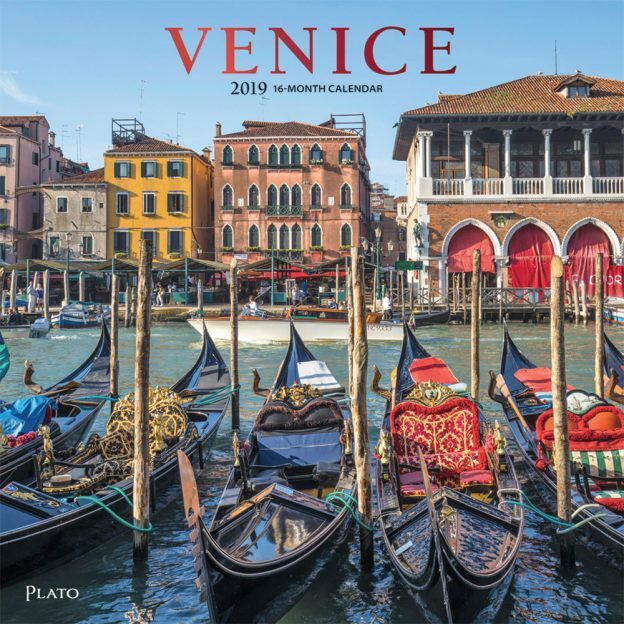 Take a trip to the beautiful city of Venice through the breathtaking images in this square wall calendar. This entry was posted in Calendar Showcase, Square on April 1, 2019 by platoadmin.